Thanks to Uffe Jakobsen / Microtop/Starion, UJ Copystick instructions is now added. 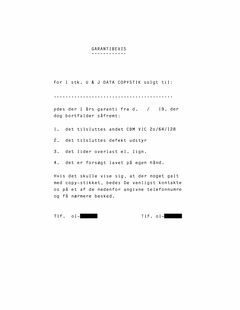 This entry was posted in Datamedia and tagged c128, c64, danish, datasette, manual, vic20 by Carsten Jensen. Bookmark the permalink.